03.10.17 The 1755 Cape Ann Earthquake distinguished Boston as one of the few cities outside of California to pay serious attention to earthquake engineering. In the 1970s, Massachusetts engineers pioneered much of what became our national approach to earthquake engineering, and LeMessurier has played a role from the beginning. Advances in high seismic design in the 1990s, however, left Boston and other cities with options that were too expensive to be viable in our construction market. As a result, for over 20 years, engineers outside of California have settled for compromise solutions that lack a rigorous scientific basis. During this time, LeMessurier has consistently fought for high-quality seismic design in Massachusetts and around the world. We have led international efforts to establish a rigorous scientific basis for earthquake engineering in moderate seismic regions, and we have transformed the culture of structural design. Building on our lengthy traditions of cutting edge research and design creativity, we have worked with our university partners and professional colleagues to establish a new basis for seismic design that is responsive to the unique characteristics of Eastern North America. These papers mark the beginning of an approach to seismic design that has harnessed advanced analyses and sophisticated thinking to develop resilient systems that are more reliable and efficient than ever before. See Link to PDF of the three related research articles below. Visit the AISC site to read "Ductility in Moderation" and more. 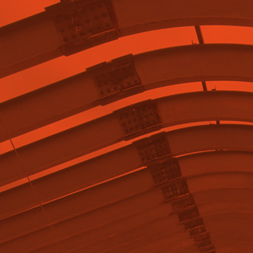 Visit the ASCE site to read "Full-Scale Cyclic Testing of Low-Ductility Concentrically Braced Frames", "Parametric Study of Low-Ductility Concentrically Braced Frames under Cyclic Static Loading" and more. 03.06.17 February 18 to 24, 2017 was National Engineers Week. LeMessurier took time out during each of the work days to celebrate with in-house challenges that showcased several key aspects of engineering design: Ingenuity, material reuse, collaboration, construction techniques, communication and of course, load testing! Check out the PDF below for some action shots of design, construction and testing! Dating back to 2013, the University of Vermont has undertaken the planning and expansion of a STEM (Science, Technology, Engineering and Mathematics) Initiative on campus in Burlington, Vermont. Partnering with the same architectural team that designed Jeffords Hall at UVM in 2007, LeMessurier joined Boston's Ellenzweig as well as Burlington's Freeman French Freeman to plan and execute a three-phase STEM facility at UVM. The phases include a new Laboratory Building, a new Classroom Building and a renovation of the existing Votey Hall (Engineering). 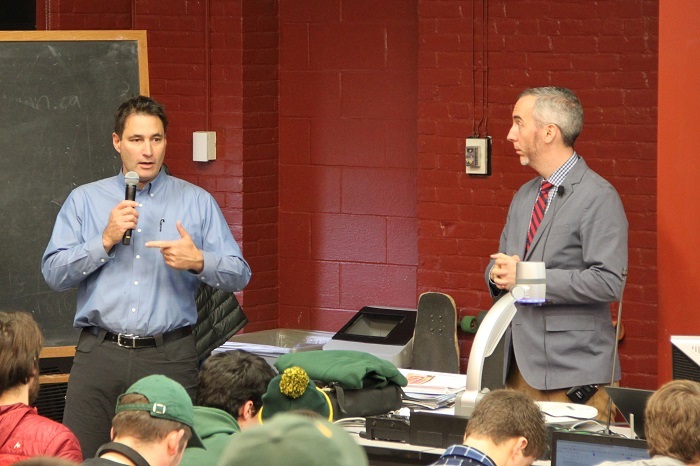 As the completion of construction of the Laboratory Building draws to a close, UVM invited Freeman French Freeman and LeMessurier to address engineering students at the University to discuss the project. The discussion underscored the need for communication and understanding of first principles as the cornerstones of a successful project. Thank you to the University of Vermont for recording this event. As engineers respond to the challenges of our century, we find ourselves facing new demands, new tools and increasingly complex economic and regulatory environments. Our creativity and our ability to work together are essential to meeting these challenges. Without a fundamental understanding of the creative process, however, the hard work of communication and the normal iterative process of design can become sources of friction that compromise project development. This essay draws on historical and contemporary examples to illustrate the importance of language—visual, verbal and mathematical—to the engineering design process. This essay was first published by the International Network for Structural Art as part of a 2012 collection of essays celebrating the 85th birthday of Professor David P. Billington of Princeton University. The third and final segment of the essay “Principles for Engineering Education” appeared in Structure Magazine in August 2012 to complete the year-long discussion on contemporary engineering education. This installment of the overarching essay makes strong, logical recommendations for the ideal educational process within the larger pursuance of engineering as a profession. This essay summarizes a longer discussion of the creative process in engineering entitled "Understanding Creativity," published by the International Network for Structural Art (INSA). 03.05.14 The second part of “Principles for Engineering Education” appeared in Structure Magazine in June 2012. This essay summarizes a longer discussion of the creative process in engineering entitled "Understanding Creativity," published by the International Network for Structural Art (INSA). The essay “Principles for Engineering Education” appeared in Structure Magazine in April 2012 as the first in a three part discussion on contemporary engineering education. It was written by Eric Hines, a principal at LeMessurier who has taught for 11 years at Tufts University as a Professor of Practice. This essay summarizes a longer discussion of the creative process in engineering entitled "Understanding Creativity," published by the International Network for Structural Art (INSA). At LeMessurier, we believe that intensive dialogue is essential to design. While a design idea may emerge from the imagination of an individual, making it real requires the mutual cooperation and critique of its designer, owner and builder. Similarly, our knowledge grows and refines through our dialogues with engineers, architects, builders, and researchers. 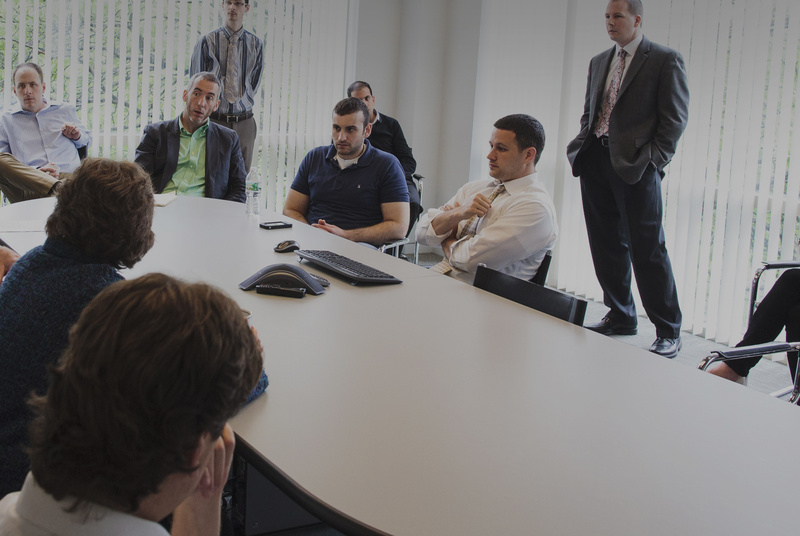 Since our founding, cutting edge research and world class teaching have played integral roles in our design thinking. For over 50 years we have discovered and invented new ways of understanding the built environment, and we have communicated our discoveries with passion and precision. We offer this log as both complement and stimulus to our tradition of intellectual engagement with our profession and the clients we serve.